The power-packed Royal Challengers Bangalore batsmen are ready to deal with the spin threat posed by Delhi Daredevils’ Amit Mishra at the M Chinnaswamy Stadium Sunday night, insists Kedar Jadhav. 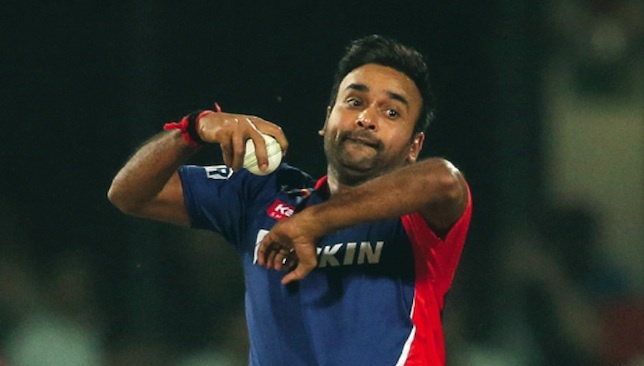 Mishra, who took 4-11 in Delhi’s eight-wicket victory against Kings XI Punjab on Friday, is also the leading Indian bowler and spinner in IPL with 116 wickets from 100 games. But Jadhav says the RCB batsmen are familiar with the 33-year-old leg-spinner’s bag of tricks. “For us, every game is important. We look to win every game to be in a strong position later in the tournament,” Jadhav said. “We know Delhi are coming off a win and Mishra has taken wickets. It is not like that we have not played him before. “From last seven to eight years, he has been playing in IPL, so everyone knows what his variations are. We just have to see the ball and not the bowler. So, obviously we are looking forward to tackle him the way we know best,” he added. RCB will also be buoyed by the fact that they have not lost to Delhi in the last six years. They hold a 9-5 head-to-head advantage and remain undefeated in their last nine games (eight wins, one washout). It is also the highest number of victories RCB have against any other team in IPL. The last time Delhi won against RCB was in 2010. Having started on a winning note by defeating Sunrisers Hyderabad by 45 runs, RCB are aiming to go all the way and lay their hands on their first IPL title, says Jadhav, 31. “All the teams that have done well in the IPL have had a good mix of Indian players. This year I feel we have the right blend of domestic and overseas players, and that makes us an overall strong unit. Our first aim is to qualify for the knockouts convincingly,” he said. 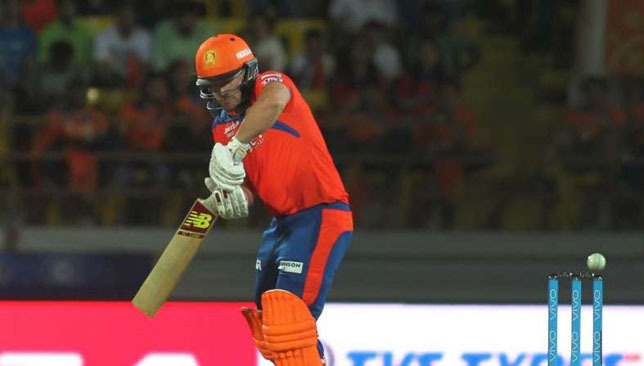 Aaron Finch was outstanding for Gujarat Lions as they maintained their unbeaten start to the Indian Premier League with a three-wicket win against Mumbai Indians Saturday night. Finch stepped up to deliver a batting master class, with an undefeated 67 off 54 balls as Gujarat beat the 144-run target on the last ball. Gujarat Lions maintained their 100% record after a slender three-wicket victory over Mumbai Indians. Australia’s Aaron Finch stole the show for the Lions with an impressive 67 off 54 balls. Join in the fun by using #360Fans across social media and commenting below. Well played @AaronFinch5. Nerves of steel under pressure to win it for @TheGujaratLions. First thriller of @IPL 2016, many more to come. What a match! @TheGujaratLions win by 3 wickets. Congratulations guys.